Keeping in mind diverse necessities of our honored patrons, we are betrothed in providing the top quality series of Air Cooler Heat Exchanger to our valued customers. 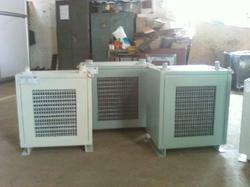 These are used for heat transfer procedures in oil, chemical and gas, process and power generation requests. These are developed at advanced development unit that is embedded with advanced machines. Our offered product is extremely employed for their top features.